Happy Birthday America! What better day to start a new series of articles than the one celebrating our independence from tyranny? This is the first installment of my B.A.M. posts. No, it’s not a damn sound, like Emeril’s ridiculous catch phrase. In these hallowed halls of meat, B.A.M. stands for Beef Advocacy Monday. My goal is to share something positive or educational about beef on each Monday, or at least once a month if I get lazy. Let’s see how long I can go before I run out of crap to talk about. I love beef, so I’m sure this will continue for quite some time. I’m a beef pusher! You all know I’m passionate about meat; so that’s the main reason I’m doing this. But another reason I’m doing this is to combat the horrible “Meatless Monday” trend going on in the food world lately. I’m sorry, but the phrase “Meatless Monday” should have no place in the American lexicon. Why? Because we Americans pretty much revolutionized the beef industry to make it what it is today. We run the biz when it comes to beef. Yeah, yeah, yeah… we all know that Argentina, Australia, Brazil and Japan are responsible for some great beef as well. But come on, people. It’s the 4th of July, so I’m going to briefly talk about the USA and our vibrant beef history. We have a rich beef history here, considering our relatively short time in existence as a nation. At first, beef was generally just slaughtered as needed. Most if not all beef was very fresh and hyper local. I’m talking 1600’s days here, and lots of the animals were really bred for dairy and milk rather than protein consumption. Pork was different. Salting and smoking were common “packing” techniques that allowed pork to be preserved so that it could be transported away from localities and moved around as a commodity for sale. Cincinnati became a pork epicenter for this packing biz. Beef never took off like pork did during those days, because cattlemen would have to drive their herd literally across the country to these packing and slaughtering hubs in order to get their product to the market. Not only was this a dangerous endeavor given our relations with Native Americans at the time, and given cattle thieves who would kill and steal for a herd, but the harsh weather conditions at various times of the year were also an issue. Cattle would die very often on these drives. This meant that ranchers were breeding their cattle to be able to survive the cattle drive rather than for flavor quality or meat grade. It’s no wonder the industry wasn’t taking off. The market was not responding favorably to the product and there were too many obstacles in the way for farmers to make a good return on their investment. It wasn’t really until the advent of the railroad system and the Industrial Revolution that the beef industry really began to flourish as a major part of the US economy. With the advent of railroads, cattle from the mid-west and Texas could reach the northeast and other major cities with ease. There were no more worries about whether the herd could survive the long journey by hoof. The animals were simply loaded into train cars and transported to places like Chicago, where, in 1865, the Union Stockyards overtook Cincinnati as the epicenter of the meat packing industry. Beef was, in turn, becoming a much larger piece of the American diet. The beef industry actually saw a 61% increase in beef consumption from 1850 to 1860. That’s huge. Refrigerated train cars even began popping up as early as the 1850’s, allowing for slaughter facilities to be built and maintained closer to the farms, rather than near the packing centers in Cincinnati and Chicago. This eliminated the need for crowded animal transport, and allowed farmers to stay involved with the process from calving to carving. By 1888, most farmers were breeding and feeding cattle to produce the best quality beef for taste rather than to survive the cattle drive north and east. As you can imagine, this made for much happier meat eaters. 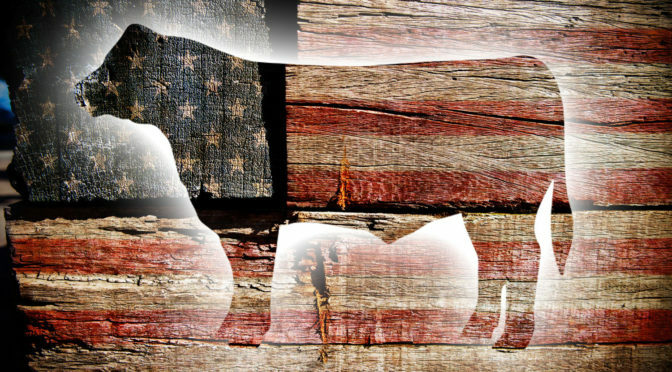 The men who built America and the railroads – those mega-capitalist captains of industry like Andrew Carnegie, John D. Rockefeller and Cornelius Vanderbilt – were really the ultimate reason for this explosion in the beef industry. I thank them for their efforts. But that’s not the end of it. We all remember learning about Upton Sinclair’s 1906 book The Jungle, which exposed nasty conditions within the meat packing industry. This eye-opening expose led to Congress passing the Federal Meat Inspection Act, which prevents adulterated or mis-branded meat and meat products from being sold as food. It also ensures that meat and meat products are slaughtered and processed under sanitary conditions. Then, in 1967, the Wholesome Meat Act extended those federal regulations into the states. It requires that states have inspection programs equal to that of the federal government. These programs are administered by the Food Safety and Inspection Service (FSIS) of the Department of Agriculture (USDA). In 1978, the Humane Methods of Slaughter Act amended the 1906 Federal Meat Inspection Act and created standards for the humane treatment of animals prior to slaughter. Since then, various amendments and add-on regulations have honed the guidelines further and allowed for new information and scientific breakthroughs to better inform the whole process. In 1997, in response to a 1993 E. coli outbreak, many best practices guidelines came down the pike for reducing the incidence of food-borne pathogens in meat products. 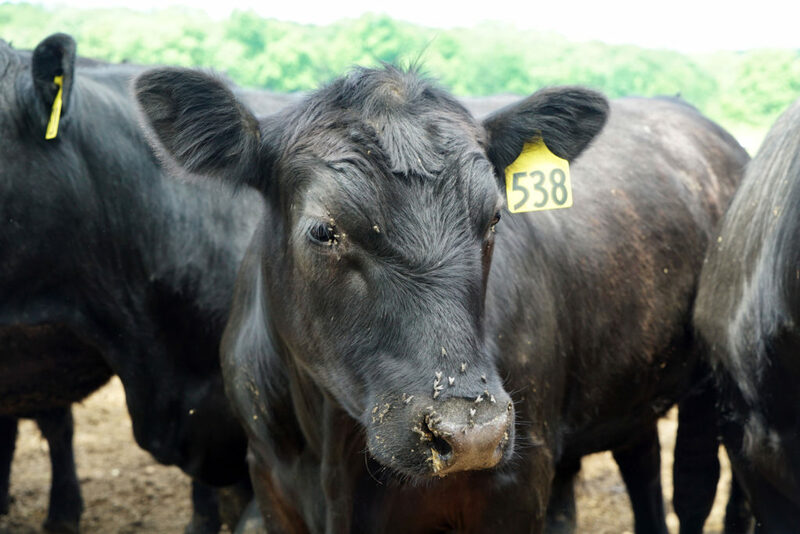 The Beef industry was the only industry to meet the goals of reducing food borne pathogens by half by 2010, and it intends to reduce that number by half yet again for 2020. And we are talking about a decrease in food borne incidents from 2.1% to 0.6%. These figures are much lower than other industries, like poultry. In addition, in 2004 there were more guidelines and regulations introduced to address things like Mad Cow Disease. Now, inspections happen at every point in the cycle of the beef industry, from calving to animal nutrition on the pastures and in feed yards, to transportation requirements as the animals move to slaughter facilities, and even beyond, to the post-slaughter workplace conditions at packing plants, shipping facilities and grocery stores. 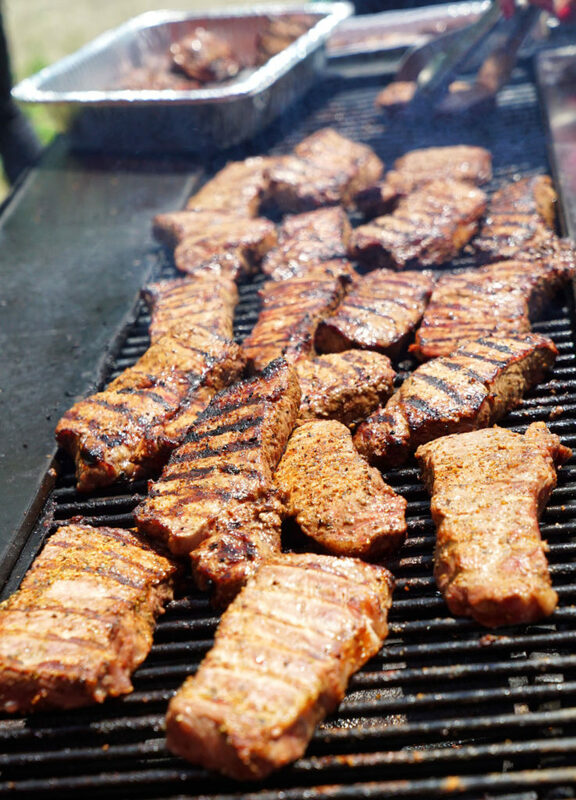 Taken together, the history of the beef industry and these important safety improvements have really created an atmosphere where the American beef consumer can feel confident that the product he or she is buying is safe, nutritious and delicious. So go forth and heat thy grills for thy July 4th BBQ’s. Slap some burgers and steaks on there and enjoy! Then go blow shtuff up in the sky (safely, of course), because America rules.